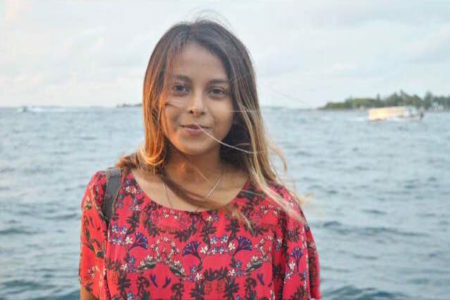 Taking the lead role for the 2019 season, Irthisham hails from the capital city of Male' and goes by her nickname 'Iru'. Her pathway to the head of our field team started in her early years with an abundantly obvious passion for the ocean. She has fond recollections of waking up bright and early on weekends to go swimming in the sea with her father and sister and she has been inseparable from the ocean ever since. Iru has spent seemingly every waking hour building her experience in the marine conservation field, above and below the waves. Starting with an apprenticeship with IUCN during her gap year, Iru then joined the MWSRP field team. 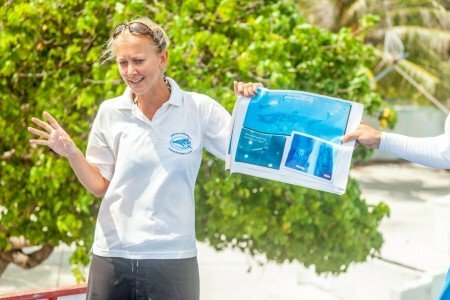 After leaving us temporarily to pursue higher education ambitions, she has returned to the Maldives and explored the dive scene, with qualifications as a Reef Check Eco Diver and PADI Divemaster leading to her now being a Green Fins Country Assessor. Iru is an environmental enthusiast and to a great extent, prefers the quiet island life of Maldives. Iru has the unique pattern of almost every individual whale shark on the MWSRP database memorised and is able to recognise many of the individuals we encounter on the spot (excuse the pun...)! Iru is happiest by the sea and never strays too far, when she's not in the water swimming with ocean giants or finding nudibranchs she can be found at the beach - usually with an ice cream in hand! At first glance it looks like Basith took a big direction change when joining MWSRP. Working in the insurance sector, to becoming a conservationist and researcher. 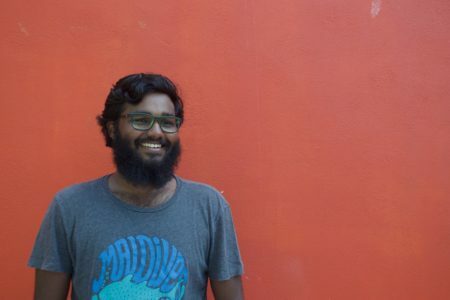 But a background including the Vice Presidency of the Rotaract Club Male', being an active member of Project Damage Control and an extensive history of leading beach and underwater clean ups around his home city of Male' shows where his true passions lie. Basith is gifted in the water and on the basketball court and joined MWSRP on a short internship in early 2017, becoming such an integral team member that his transition to In-Field Coordinator was immediate and seamless. He is gifted with an incredible ability to absorb information and continuously pursues opportunities to learn about marine science. Aside from whale sharks, he also has a passion for corals and is particularly interested in reef communities and species interactions. 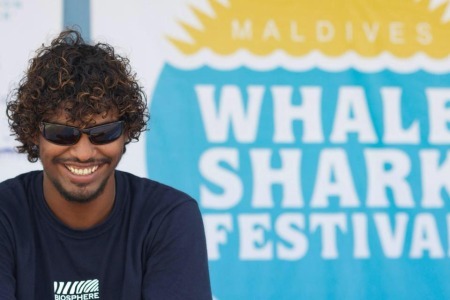 He now helps to oversee the Big Fish Network across the whole of the Maldives. Currently reading York College's International Foundation Programme in the UK, Shameel is originally from the Maldives capital Malè. Yet despite the city boy tag this automatically gives him, he is happiest in the water! He joined our team after coming out to volunteer in 2013, deciding on a change of course from an office job in Human Resources to marine research and conservation. He helps run the volunteer programme and is a massive part of making our community work happen. Shameel’s claim to fame is representing the Maldives in the 2008 Beijing Olympics in their national swimming team - we think he’s part fish he’s so comfortable in the water! He also has a very unfortunate taste in board shorts. Rich comes from the West coast of Wales and this is probably where his love of the ocean and penchant for day dreaming originates. It took him two research expeditions to the mountains of Papua New Guinea and Kazakhstan to realise just how much he wanted to work by the sea. Rich worked as a fisherman whilst planning a first expedition to the Maldives with Jim and later for a fisheries monitoring company in Victoria, Canada. Over the years Rich has memorised most of the whale shark spot patterns in the database, which is a good job because chances are he’s forgotten his laptop. Discovered early on that as a fair skinned Welshman, the tropical sun was never going to be his friend! 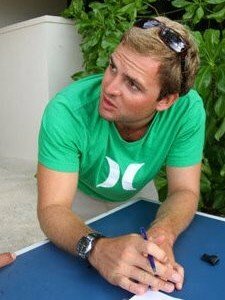 One of the founding members of the Programme, Jim began his Maldives association as a marine biologist straight out of university. He moved into the resort world, gaining department head operations experience. As a self-confessed fish geek, Jim went back to his marine roots as the Cruise Director of a liveaboard, spending a few years traversing the paths less traveled in the Maldives. Usually you can find Jim at the end of a day applying after-sun. Despite appearances, Rachel is actually half Seychellois and seems to have the ocean in her blood (well… warm tropical ones at least!). A passionate fan of whale sharks, Rachel knows many of the individuals on our database by sight and has contributed to multiple scientific publications. Rachel has her MSc in Marine Biology and is an invaluable asset to the MWSRP. She is a huge fan of the outdoors and can be found leading the charge from surfing the waves in western Wales and to anything mountainous! Some people were just born to work outdoors with nature, and Ben is definitely one of them. When he’s not swimming after a whale shark in the Maldives, he’ll be identifying trees in Scotland or leading outdoor pursuits somewhere rugged and uncomfortable! A keen and pretty handy stand-up-paddle boarder and surfer to boot, Ben is also something of a closet sea-grass fan, and by default, our expert! Rhodri Lloyd-Williams is a self employed business owner, producer and exporter out of mid Wales. A quick search for MWSRP in Google Images will invariably lead to Rhodri being the star in what has become two of the ubiquitous MWSRP photographs; him ascending from depth out of the blue with a whale shark below him and with tape measure in hand at the tail of a whale shark taking length measurements. His talent for being in the right place at the right time for a cool photo isn't unnoticed! 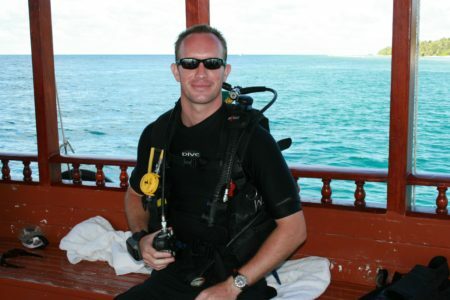 Rhodri first became involved with MWSRP as a member of the second expedition to South Ari atoll in 2007 and was a key member in the establishment of the charity in the following years. 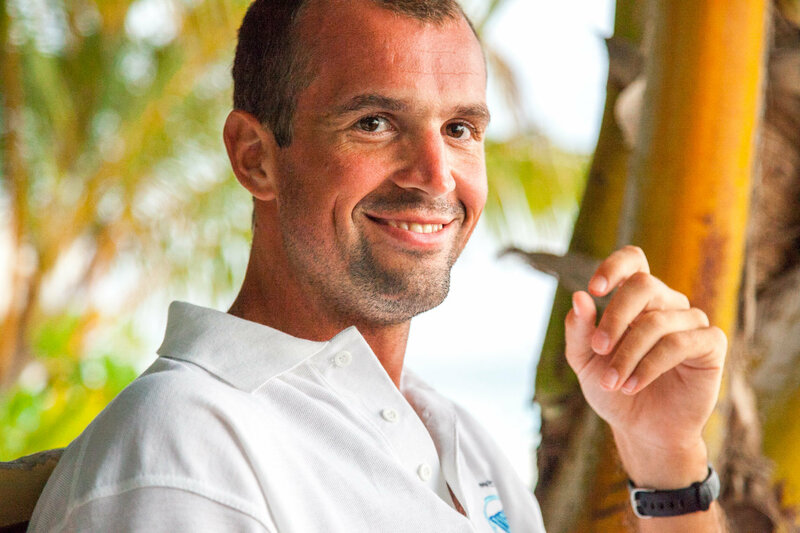 A co-author on the 2010 paper on the whale shark aggregation in what is now SAMPA, he was one of the main architects of the volunteer programme. As a businessman accustomed to wearing many different hats in his day to day operation, his role as a Trustee focuses on the operation and acting as a steady hand to analyse future projects and potential problems before they can occur. Morgan Riley is a senior British Civil Servant who oversees the spending of British Government development spending in places as diverse as Afghanistan, Rwanda and St. Helena, where he was involved in the creation of the new airport. Morgan comes from a background of exploring. He was involved in expeditions seeking snow leopards in Kazakhstan, birds of paradise in Papua New Guinea and was part of a scouting trip to Cenderawasih Bay in West Papua well before the whale shark there came to public awareness. He once rode (and to a large part chased) a mule on a traverse of the Moroccan Sahara. He was a member of the original 2006 Royal Geographical Society funded expedition which preceded the formation of the MWSRP. Morgan was involved in organising the 2007 expedition and was again involved the following year. He was principle author of the first peer reviewed publication outlining the basic demographics of the whale shark aggregation at South Ari atoll in 2010. In his role as a MWSRP Trustee, Morgan focuses on the financial security and direction of the charity. Professional Foci: Population Biology, Ecology and Physiology of Marine Vertebrates. Dr. Stewart holds a Bachelor of Arts degree in Biology from the University of California at Los Angeles, a Master of Science degree in Ecology from California State University at San Diego, a Ph.D. in Biology from the University of California at Los Angeles, and a Juris Doctorate from Boalt Hall School of Law, University of California at Berkeley. Dr. Stewart served as a Science and Diplomacy Fellow in the Bureau of Oceans at the U.S. State Department from 1999 to 2001 and was awarded the prestigious Lowell Thomas Medal by The Explorers Club for his career efforts to explore, understand, and conserve Earth's ocean wildlife, In 2012, he was recognized as one of forty of the world's leading conservation biologists. Read more about Dr. Stewart here.